Traditionally when purchasing goods or services, Americans used money, issued by the U.S. government and its fiscal agent, the Federal Reserve System. Then, in 2009, Bitcoin, the first cryptocurrency, was created. As cryptocurrency has proliferated, so too have cryptocurrency investment scams. In January, the Securities and Exchange Commission shut down one such scam by Dallas-based AriseBank, which, in just two months, had already raised more than $600 million of its $1 billion goal to establish what it claimed would be the world’s first “decentralized bank.”4 AriseBank courted investors through social media, including a Facebook page. They also used celebrity endorsements and other wide dissemination tactics to raise investment funds. AriseBank and its co-founders Jared Rice Sr. and Stanley Ford are charged by the SEC with allegedly offering and selling unregistered investments in their purported “AriseCoin” cryptocurrency. 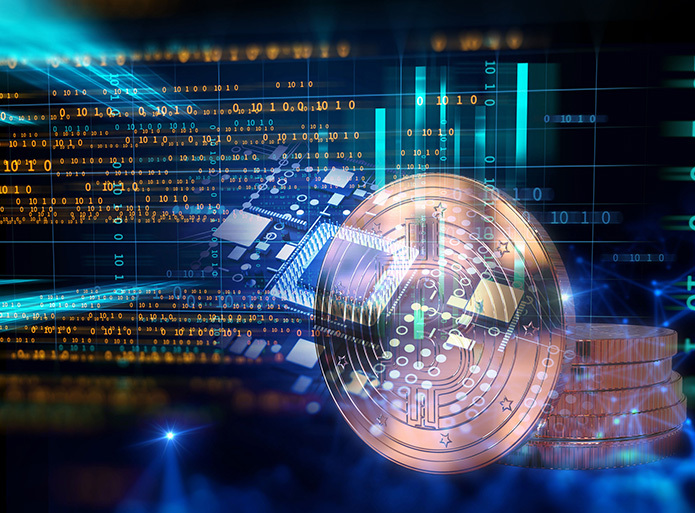 They did so by depicting AriseBank as a one-of-its-kind decentralized bank offering a variety of consumer-facing banking products and services using more than 700 different virtual currencies. In their sales pitch to investors the claimed to have developed an algorithmic trading application that automatically trades in various cryptocurrencies. The SEC also claimed that AriseBank falsely stated that it purchased an FDIC-insured bank which investors were told would enable AriseBank to offer customers FDIC-insured accounts. It also offered customers the ability to obtain an AriseBank-branded VISA card to spend any of the 700-plus cryptocurrencies. Another omission was the disclosure of the criminal backgrounds of key executives in the company. In an historic move for an Initial Coin Offering (ICO) scam investigation, when the SEC complaint was filed, the agency also sought the appointment of a receiver. The SEC request was granted and, in addition to approving emergency asset freezes for AriseBank and it co-founders, a receiver was appointed over AriseBank, including over its digital assets. AriseBank investors who believe they may be a victim are asked to report it to the SEC as a tip or complaint. If you have questions about cryptocurrency scams, investment fraud, financial schemes, broker misconduct, or about your broker’s management of your account, please contact our Securities Law Firm at: 313-334-7767 for a Free case evaluation.